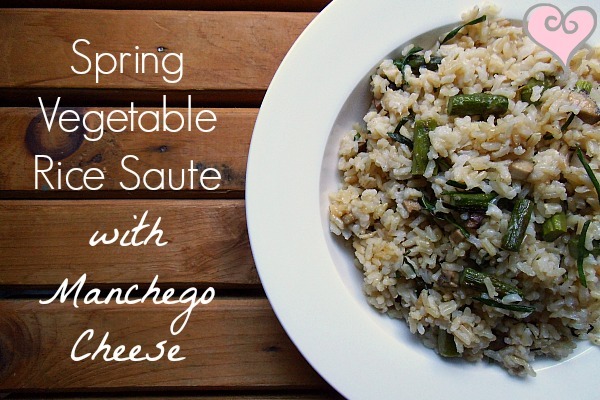 Seasonal vegetables sauteed together with pre-cooked rice, fresh sliced chives and imported Manchego. I was fortunate to have been generously given a small block of imported Manchego cheese the other day from our local (and absolutely incredible) cheese shop, Wasik's in Wellesley. After spending a solid amount of time in there choosing cheeses and spreads to put into thank you baskets for people at work, I couldn't stop thinking about the locally made crackers topped with that perfect Manchego cheese. 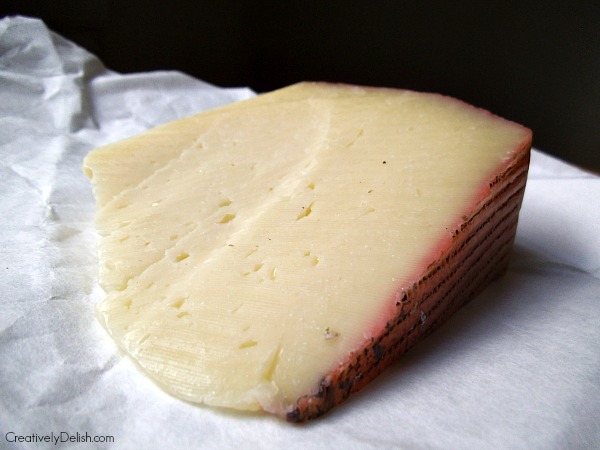 Imported from Spain, Manchego cheese is great crumbled, sliced or shredded and has a light yet slightly nutty flavor perfect for just about any dish. Since it's spring and the herbs are coming in like wildflowers, I thought it would be best to pick up some fresh chives to throw on my toasted rye bread with cream cheese. Little did I know just how good chives could be in this dish - and paired with this particular cheese! I took a small crumble of the cheese and wrapped a little chive around it, popped it in my mouth, and I was blown away! It gave an almost smokey flavor to the cheese and immediately I knew it would be perfect for the rice dish! 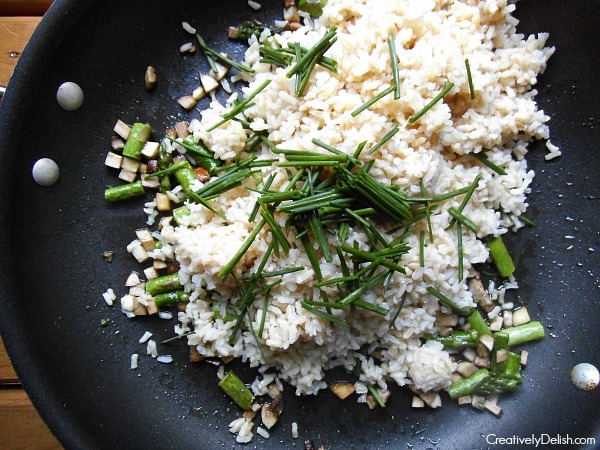 It was so easy to make too - while the rice cooks in water, chop and saute your vegetables. 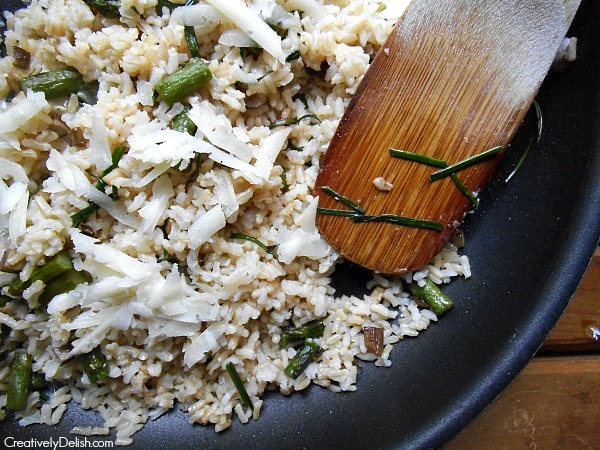 Once the rice is finished, add the rice into the pan to crisp up a bit. 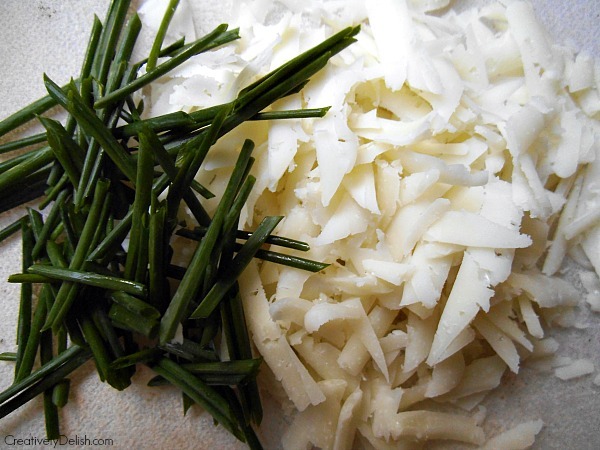 Grate the cheese, chop the chives, add them in, stir it up and bam! A perfect spring side dish for just about any meal. In a large pan, heat some olive oil then add asparagus and shrooms. Let that cook down, stirring occasionally, for about 5-8 minutes. Add in the brown rice and press the rice down to create a pancake of rice. Let the bottom layer sizzle a little to brown it up then start to stir occasionally for another 5 minutes. Add in the chives and cheese, stir to combine, then cover for 2 minutes to steam. Add salt and pepper if needed then serve! Hey Lauren, Your recipes look great. I am fishing this Saturday morning and hoping to try a couple of your recipes! We are having friends for Memorial Day weekend, I am planning on serving them fresh fish! Wish me luck! Good luck and have fun Leslie! !